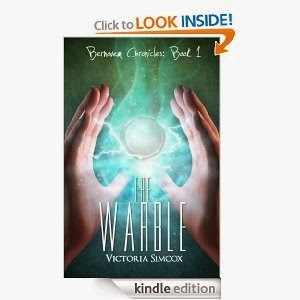 The Warble is a magical tale full of gnomes, dwarfs, fairies and talking animals. This book is sure to please. Twelve year old Kristian Kingsly is the chosen one to save the land of Bernoven. To save the land she has to place the magic warble in it's resting place atop a treacherous mountain. She also has an evil queen to deal with. As Kristina fights the forces of evil she learns the value of friendship and trust. Victoria Simcox's book is great for teens. There are good plot twists and lots of surprises. Altogether this book is a fit for your shelf. We received a copy of this book in exchange for an honest review.